Head on over to Carnegie Mellon to see Jon Ward and his props team in action. Folkenstal has a cool build log for an orc helmet from Elder Scrolls Online. 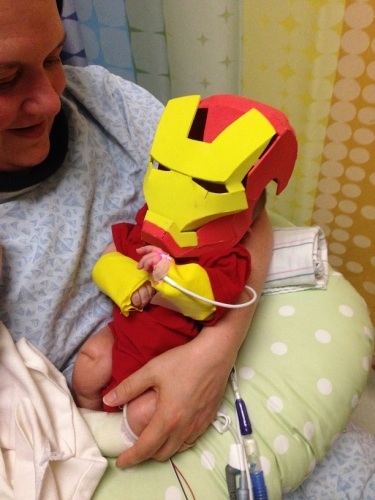 He uses an interesting technique of wrapping Worbla around card stock pattern pieces. In episode 6 of the Woodlawn production diaries, Will Drummond, the props master, shows how they turn an empty storefront into a period barbecue restaurant, complete with smoking ribs. 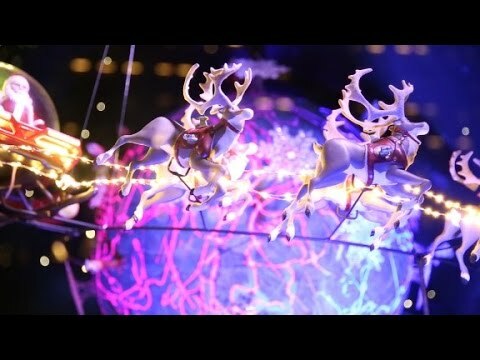 With the holiday season upon us, I thought it would be fun to once again see how Macy’s makes their world-famous window displays. CNN Money goes inside the workshop this year to see how a team of artists and craftspeople make these complicated and beautiful environments. I hope everyone enjoyed the nineteen interviews I’ve posted over the last month. Thanks to Ron DeMarco’s class at Emerson for taking the time to do that, and allowing me to post all of them. 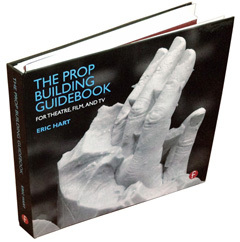 If you haven’t read them yet, they are a great cross-section of how prop masters get where they are, and are filled with wonderful advice on how to build your own career. Even though I was running these interviews for awhile, you may have still seen my name out there in the internet. 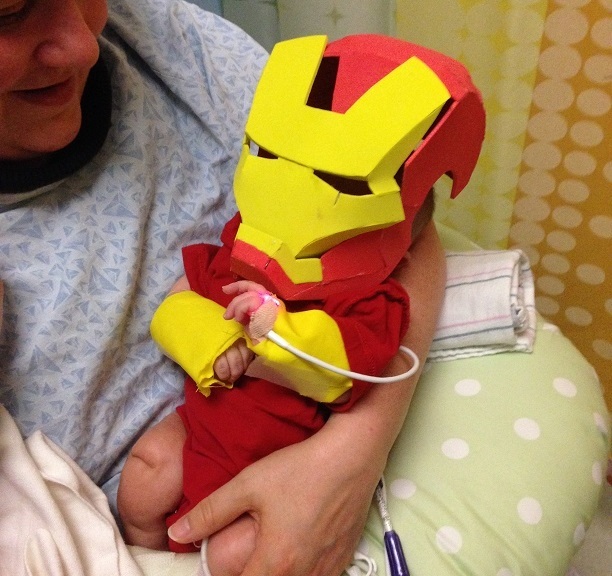 I made a little video showing an Iron Man mask I constructed for my baby this past Halloween. It went a little viral. I ended up on TV a few times, interviewed by Right This Minute, my local Fox news channel, and WFMY. I was also interviewed over the phone by Huffington Post, the Today Show, and HLN. And then I watched the story get picked up on Buzzfeed, E! Online, US Weekly, CNet, as well as trending on Facebook and appearing on the Yahoo! Front Page, and appearing on news sites all over the world in all different languages. Thankfully, all that has died back down again. The mask was a pretty simple build. As the video states, I found the pattern online and scaled it down. I assembled it in paper first to check the fit and make some modifications ( I left the back and sides off so it would just sit on top of his head rather than act as a full mask). The actual piece was built out of EVA foam, aka “fun” or “craft” foam. It is the same material I built some of the puppets out of for Snow Queen, which we are currently remounting at Triad Stage. Collier is still in the hospital, but getting better. He wishes all of you a Happy Thanksgiving! 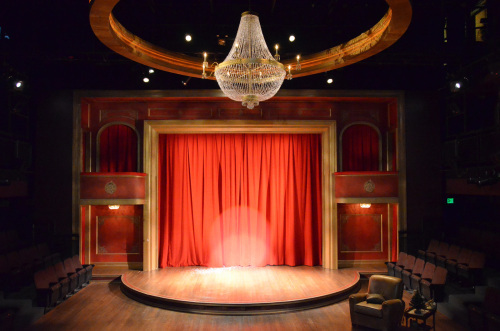 Every so often, a new play hits the regional theatre circuit, and it seems that every prop master in the country is trying to solve the same problem. A few years back, that play was God of Carnage, and everyone was trying to make an actress projectile vomit on stage. 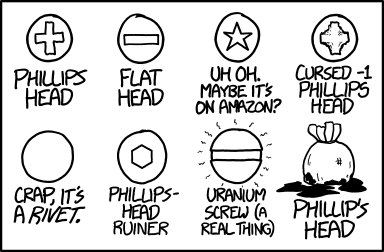 l came across a few well-done videos showing how various theatres have solved this gag (no pun intended). 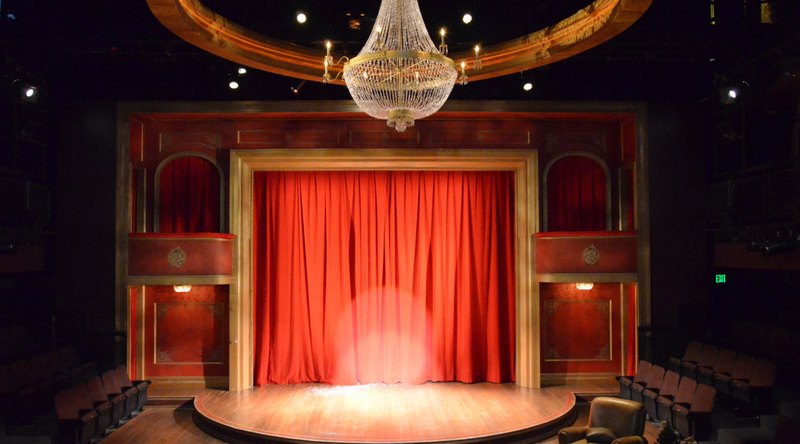 The set for 39 Steps at Triad Stage was reminiscent of an old vaudeville theatre. One of the focal points was a massive chandelier overhead. I knew we could never be able to afford to buy a five-foot diameter chandelier, and even if I could find one to rent or borrow, transporting it would be difficult. So I figured we would just spend the time making one. The design of the chandelier made construction simple; it was just three rings with beads of crystals draped between them. I found rolls of garland with acrylic beads, which spared me from having to string them all individually. I took a lot of the individual crystals from another chandelier I had in stock. The arms came from an existing chandelier as well. I put together a video showing the progression of the build. Though straightforward, it was a very time-consuming prop. Towards the end, I got help from Lisa Bledsoe and DeDe Farrell with attaching all the crystals and getting it wired.